International Business Machines (NYSE:IBM) managed to beat estimates on both sales and earnings for the quarter ending in December, but that wasn’t the big news from Tuesday night. The big news is we can finally understand what IBM’s business is, and how it will grow. The shares of IBM stock closed at $122 ahead of the results and opened at $133 as investors digested the numbers. It was net income of $4.4 billion, or $4.87 per share, on revenue of $21.8 billion, that beat estimates and sent IBM stock flying. Investors grabbed for a dividend of $1.57 per share that still saw yields at almost 5%, even after a 7.68% jump in the share price in pre-market trading yesterday. IBM seems to have settled on a strategy that makes sense. Calling it “hybrid multi-cloud,” it’s built around the idea that big companies want the flexibility of using multiple cloud platforms, along with building their own for key data and applications. Blogger and tech analyst Kishore Jethanandani writing on FuturistLens sees this as a huge opportunity, a market growing at 17% that should be worth $97 billion by 2023. Red hats may be associated with the President of the United States these days, but IBM’s turnaround began in October with its $34 billion deal for open-source software developer Red Hat (NYSE:RHT). The timing wasn’t ideal, coming at a peak in tech valuations, and the deal hasn’t yet closed, but Red Hat has already transformed Big Blue’s corporate image. During the quarter IBM delivered profitable growth in its cloud segment, with areas it dubs “strategic imperatives” now representing half its revenue. The deal also culminated the transformation of Red Hat under CEO Jim Whitehurst. What had been a provider of open source Linux software became a leader in corporate cloud services through the OpenShift container platform, which helps companies bring their existing software into clouds. 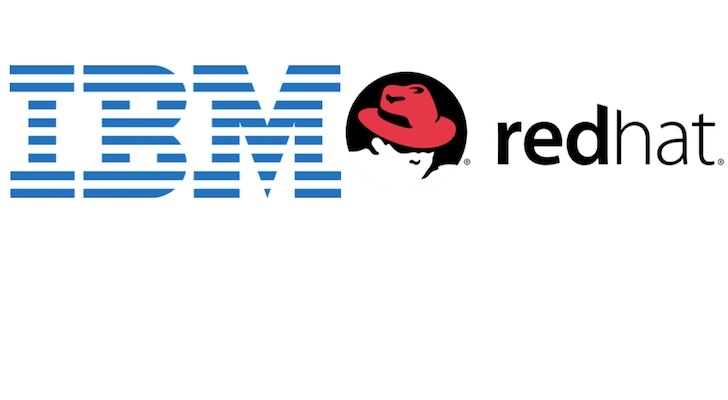 IBM and Red Hat have always had a close relationship, with Big Blue executives keynoting the developer’s annual technology meetings. I had personally been pounding the table for this deal since 2012, recommending readers buy Red Hat in May, dismissing what was then IBM’s strategy in July. IBM is no longer focused only on its own cloud, but on growing subscription revenue and cloud-based software services in hybrid cloud, AI, analytics and security, according to CEO Ginni Rometty. Containers let companies move data between clouds from Amazon (NASDAQ:AMZN), Alphabet (NASDAQ:GOOGL) and Microsoft (NASDAQ:MSFT), while maintaining compatible data stores on their own premises. IBM’s cloud then becomes the glue holding corporate data together. IBM doesn’t require the scale of a cloud czar to do that. Its smaller size compared with the cloud titans becomes an advantage, although its revenue is still twice that of Oracle (NASDAQ:ORCL), with a market cap that’s 50% higher than IBM’s, and a dividend yield that two-thirds smaller. The relative strength of Oracle’s stock compared with IBM’s demonstrates to just what extent IBM’s problems were still fixable. IBM still has its mainframe monopoly, delivering monopoly level profits, but it has been seen only as an income stock, the value of the shares down by one-third over the last five years. Red Hat has given IBM a path toward profitable growth, and IBM has spent the last quarter creating a suite of products and services it can deliver around Red Hat’s hybrid cloud solution. IBM stock has long been among the cheapest tech shares out there, but only because it wasn’t growing. If it can grow, the stock becomes a real bargain, and the fourth quarter results indicate it can indeed grow. The fourth quarter of 2018 transformed IBM stock from a sell to a buy. Dana Blankenhorn is a financial and technology journalist. He is the author of a new mystery thriller, The Reluctant Detective Finds Her Family, available now at the Amazon Kindle store. Write to him at [email protected] or follow him on Twitter at @danablankenhorn. As of this writing he owned shares in MSFT and AMZN shares. Article printed from InvestorPlace Media, https://investorplace.com/2019/01/international-business-machines-finally-has-a-strategy-that-can-drive-ibm-stock/.